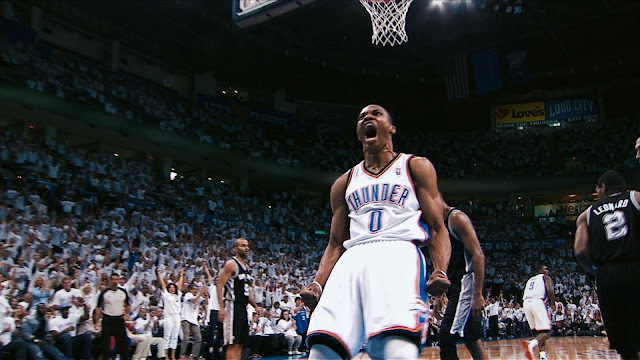 The NBA has unveiled its latest TV spot, “Every Second Counts” featuring new music by Grammy® Award-winning producer Timbaland created exclusively for the NBA Playoffs and The Finals. Part of the league’s “This Is Why We Play” campaign, “Every Second Counts” highlights how at any moment, the NBA postseason can create jaw-dropping moments that will captivate fans and impact culture around the world. NBA Playoffs begin Saturday, April 16. The spot, premiering on TNT Tuesday, April 12 during the doubleheader featuring Thunder-Spurs and Grizzlies-Clippers, captures the intensity, energy and excitement fans experience nightly as the world’s top teams battle toward The Finals.